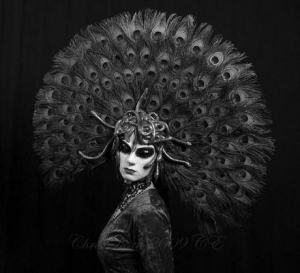 Marchesa Luisa Casati, socialite, patron of the arts and infamous bon viveur – plus one of the 20th Century’s most shocking ones at that – declared once, “I want to be a living work of art.” In a trailblazing life lived to the absolute max, she more than delivered on that promise. An heiress famous for wearing live snakes as jewelry, for her diamond leashed cheetahs and for her life of scandalous excess, she is still one of the worlds most cited muses. A source of inspiration for everyone from Man Ray to Cecil Beaton during her time to Galliano and Tom Ford since, her distinctive and unapologetic approach and to life and style was – and is –unrivalled. 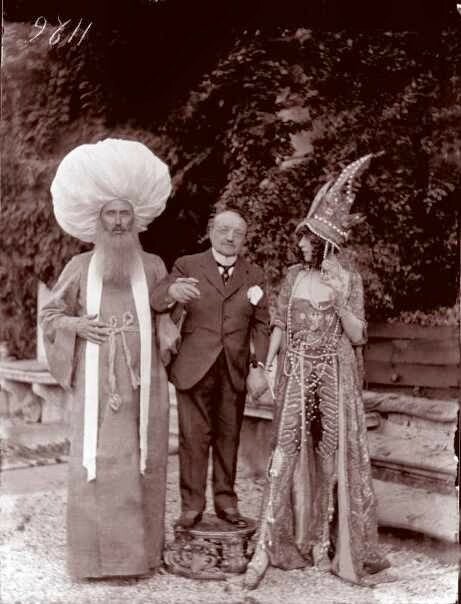 Luisa Casati was not born to infamy. The daughter of a rich Italian nobleman, her parents died when she was young, leaving the 15-year-old as one the country’s richest heiresses. In 1900, aged 19, she married Count Camillo Casati Stampa di Soncino and had a child, Cristina. 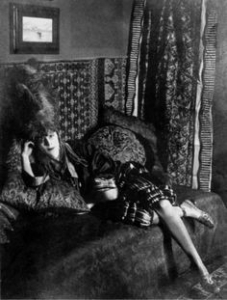 And so it was that, up until this point, Marchesa Luisa Casati fulfilled the expectations laid out before her, living the typical life of a rich European aristocrat. 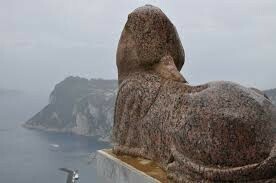 It was whilst on the aristo circuit, however, that she met the Italian poet and lothario Gabriele d’Annunzio. The two became lovers, with the notoriously debauched Gabriele introducing his new muse to a whole new world, one of decadent parties and artist filled salons, of outrage, intrigue and scandalous behavior. The Marchesa never looked back. 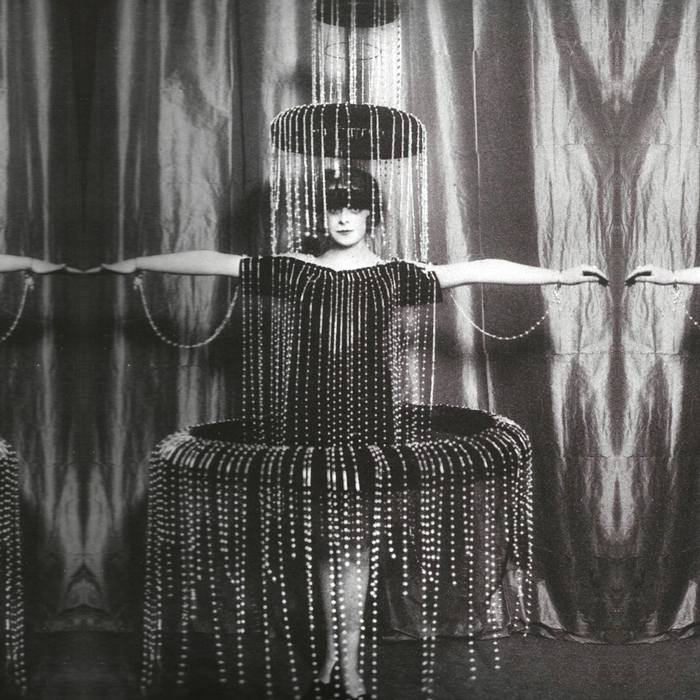 Over the course of the next 30 years, she dedicated herself to decadence. She cultivated a dramatic look – her tall, skinny frame topped with bright red dyed hair, bleached skin, red lips and kohl rimmed eyes. She was photographed by Beaton, painted by Augustus John and Giovanni Boldini and sculpted by Jacob Epstein. A patron of the Ballet Russes, she held court at her outrageous soirées in Grecian Fortuny or a sheer sheath dress worn with nothing underneath, whilst her guests were waited on by countless servants – themselves often naked and gilded in gold leaf. 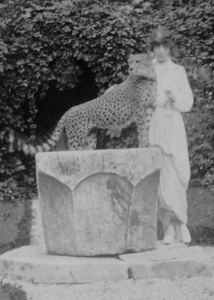 Her jewels were by Lalique (she is said to have inspired Cartier’s Panther designs,) her pets were cheetahs and boa constrictors (the snake once escaped during a stay at the Ritz in Paris,) and the stories could not have been more scandalous. All this excess ended up getting the better of the Marchesa in the end, who, having made her way through her fortune, died penniless in London in 1957. She was buried alongside her taxidermied Pekingese, wearing one of her beloved leopard print creations and a pair of her famously distinctive false eyelashes. Her epitaph was taken from Shakespeare’s Antony and Cleopatra, reading, “’Age cannot wither her, nor custom stale her infinite variety.‘ Her legend more than lives on.